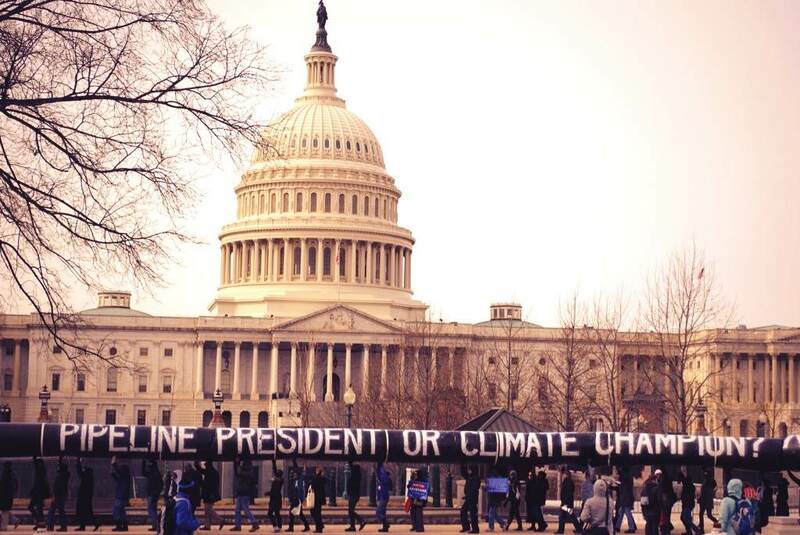 Capitalism vs. the Climate decided to endorse the Ecosocialist Contingent at the upcoming XL Dissent action in Washington D.C. against the proposed Keystone XL tar sands oil pipeline. Some of our members will attend XL Dissent, which will involve acts of civil disobedience at the White House on March 2nd. Specifically, demonstrators plan on performing a “human oil spill.” Organizers specify that the demonstration is a youth-led act in solidarity with communities most impacted by tar sands, including Alberta’s First Nations living near extraction, people living along the spill-prone pipeline’s route, and communities in Texas near major refineries. The Ecosocialist Contingent, organized by the System Change Not Climate Change Coalition (SCNCC) “believes that the ecological crisis results from the capitalist system, which values profits for a global ruling elite over people and the planet.” They support “ecosocialism: a democratic society that’s based on fulfilling human needs and preserving earth’s ecology.” You can read more at their website. To endorse the Ecosocialist Contingent, as either an individual or a group, email systemchangenotclimatechange@gmail.com .